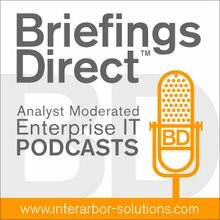 Dana Gardner's BriefingsDirect: Who makes most rain from IBM-Amazon cloud deal? Oracle. Who makes most rain from IBM-Amazon cloud deal? Oracle. It just goes to show how perplexing the gathering cloud marketplace is that the punditry are hesitant to meaningfully analyze this important development. But Amazon -- with a history of bold and long-term bets -- and IBM -- with a history of making markets whether it's right about the future or not -- have made the best of bedfellows in the deal announced late Wednesday. Why? Because IBM has taken the cloud bait ... big time. And Amazon has just partnered with the best enterprise IT channel on Earth. Together they form the irresistible gravitational black hole from which Microsoft can not escape. And Google is building another black hole right next door. And so is Salesforce.com. Can Microsoft change universal physics? Not likely. What this deal means is that Microsoft will need to adopt the cloud model all the more quickly and comprehensively -- across its software lines, not just a few. It's going to be Live Stack, not just Live Mesh. It's going to be buy once, run any which way. It's build your on-premises cloud on IBM and insure against peaks and troughs with the elastic AWS hand-off. No more 20 percent utilization on umpteen licensed servers to guarantee reliability (I'm talking to you, Exchange Server). And given the IBM license pincher move, the fungible enterprise-AWS licenses scheme will help shrink Microsoft's margins all the faster and deeper as a result. IBM will be selling cloud economics against Microsoft Software Assurance economics with a world-class and hungry sales force. Ouch. You see, IBM can monetize across more business types -- hardware, storage, professional services, systems integration, infrastructure software, groupware software, specialized outsourcing and applications, and a lot more. Microsoft not so. IBM can adopt the cloud aggressively and find new innovative models from its diversified portfolio. Microsoft is hoping for the best with developers more than the operators, because it has no choice (and Wall Street knows it). I don't expect Microsoft to do any similar deal with any cloud provider other than Microsoft. IBM, on the other hand, can do similar deals with any cloud provider with the chops to produce the reliable and cost-effective compute fabric that's open to its SuSE Linux stack. The more clouds the better for IBM, while Microsoft will compete against those clouds. It's the MS-DOS license deal in reverse at a higher abstraction. Amazon, too, can tee up any number of enterprise software providers to channel the humongous global enterprise software market to AWS ... from a tickle to a stream to (who knows?). But that's still good money. And Amazon has a huge and growing lead in the ecumenical cloud department. So we come to Oracle. Larry Ellison's entertaining position on cloud is a hedge. He knows the substantial cloud economy is inevitable, and he knows its at least 10 years in the making. And he knows the transition will be ugly and bloody. Best to let those two old antagonists IBM and Microsoft beat the crap out of each other, with Amazon as Burgess Meredith's Mickey Goldmill to IBM's Rocky and Microsoft's Apollo Creed. Then the build, buy or partner decision can be made by Oracle after all the money has been taken from the traditional enterprise data, applications, development, infrastructure and integration model (which has plenty of legs). It's too soon to tell whether the rainmaker-enabled marketplace approach of IBM (remember Java, Linux, n-tier) will beat out the shoot-for-the-moon strategy of Microsoft when it comes to the cloud. But I like Oracle's margins better through 2016 as the battle ensues.